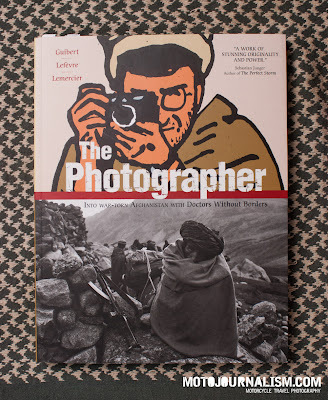 The Long Version: The Photographer documents photojournalist Didier Lefèvre’s 1986 journey in the highlands of Afghanistan through a fantastic and unique collection of words, photographs and illustrations. 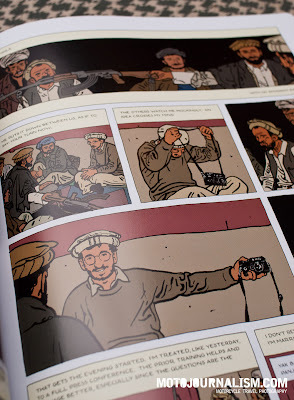 Like soccer, graphic novels have never really caught-on to the mainstream in North America. People are aware of their existence - and of course there are collectives of devotees and fanatics - but regardless of their staggering popularity outside the continent, the popular forms of entertainment simply lie elsewhere. 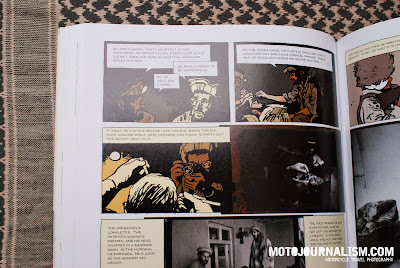 In many parts of the world it is understood that complex stories and mature themes can be brilliantly expressed through the combination of words and illustration in a graphic novel, but it’s been an uphill battle for acceptance in North America where there’s still a juvenile stigma attached to reading them. 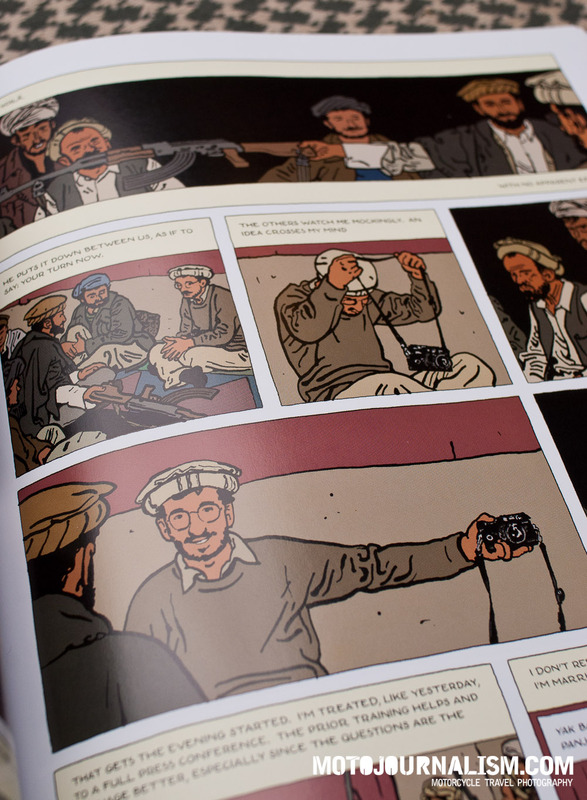 Most people would feel awkward to be seen on public transit reading these large-format comics for adults, with their brightly coloured drawings and cartoon speech bubbles. 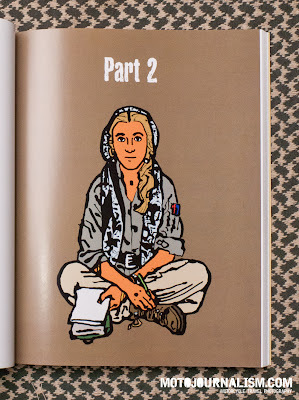 This may explain the ugly paperback cover of the English edition. It’s a crowded mess of image and text, far removed from the elegant simplicity of the original French version . The back cover has been plastered with accolades from reputable American sources to lend credibility and convince buyers that this is not an Archie Double Digest. 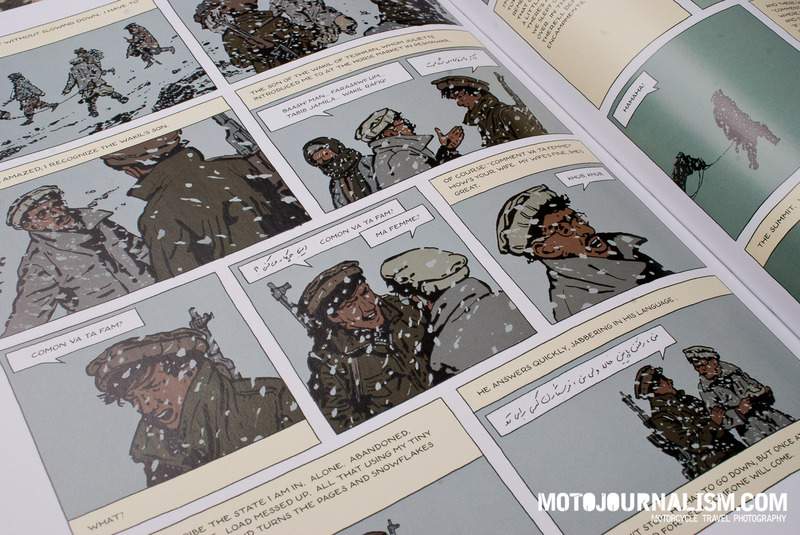 Didier Lefèvre’s story takes place in the highlands of northern Afghanistan in 1986, at the time when the Soviet’s Cold War expansionism began to break. 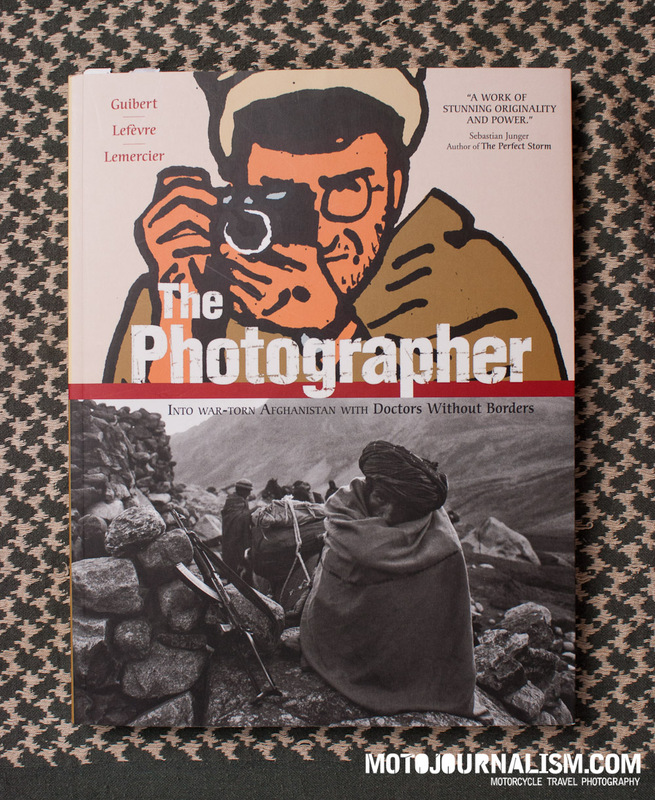 At this time Médecins Sans Frontières/Doctors Without Borders (MSF) was entering the country on foot to build a tiny mountain hospital for the local civilians, and Lefèvre accompanied the doctors as a photojournalist to document the process. The war and the politics of the time serve as a backdrop rather than a subject. This appropriately reflects Lefèvre’s then limited knowledge of the astoundingly complex situation. Lefèvre was young and the reportage for MSF was his first major assignment. The story begins while he is packing to leave Paris, then briskly carries us to the middle-east where we are introduced to the characters, the culture and the mission. 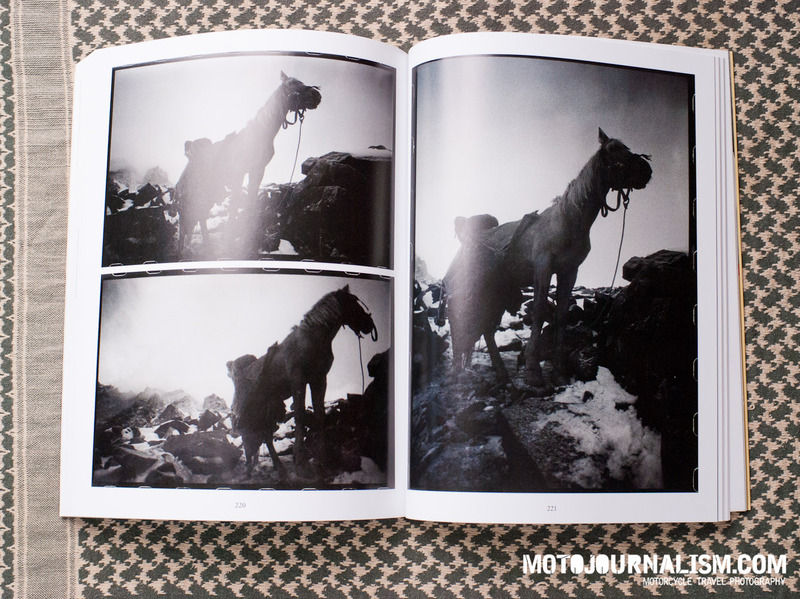 It’s an on-the-ground journal of the photographer’s experiences while travelling by foot and by mule through the heat of the valleys and the ice and snow of the mountain passes. 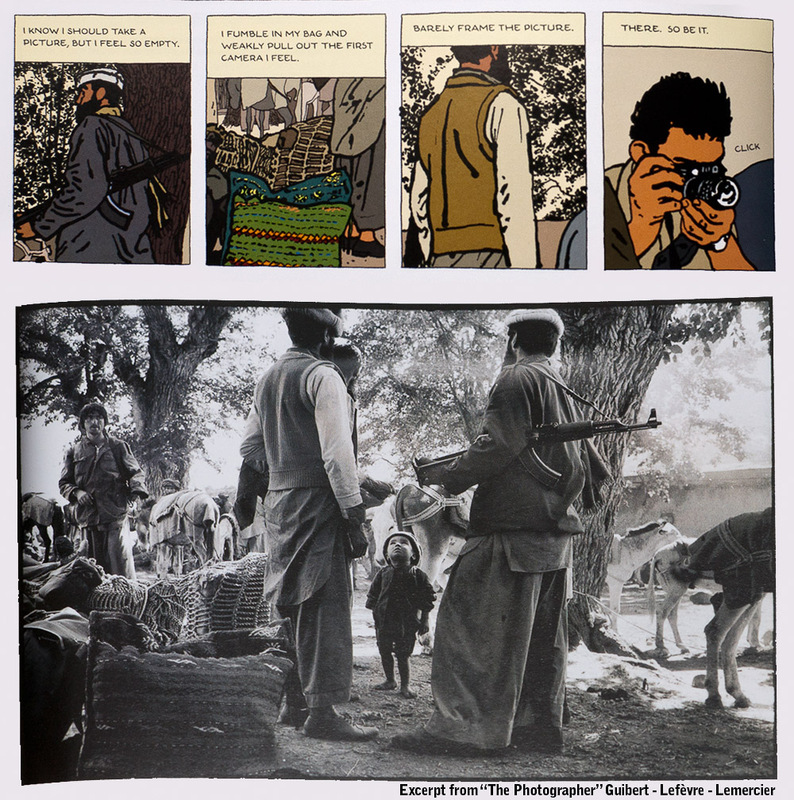 We listen in to conversations and see the experiences of everyday life, of photography, of medicine and surgery, of the internal politics of the organization, and of the inevitble cultural clashes. The collaboration of Lefèvre’s memories told through Guibert’s writing gives the story an objective view of the situation, told with the perspective of hindsight. Lefèvre does not go easy on himself or others when rash decisions were made, and there’s a clear honesty in his words. 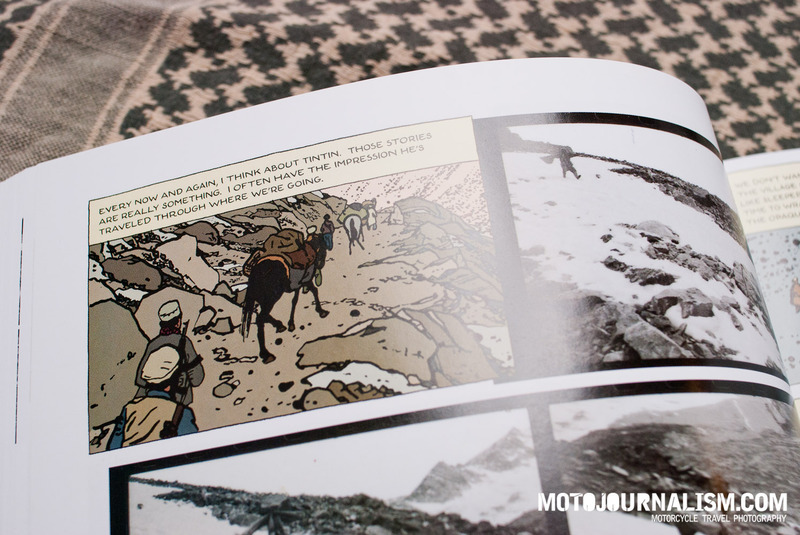 Much of the book uses the original photographs of Lefèvre as wordless panels seamlessly placed in the illustrated narrative. 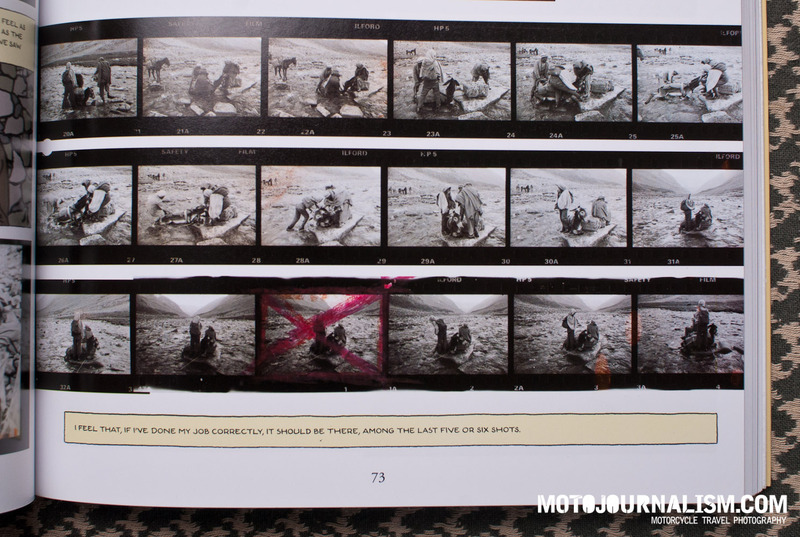 Often the images appear as photographic contact sheets, with the sprocket holes of the Ilford HP5 visible under the red grease pencil of his selects. 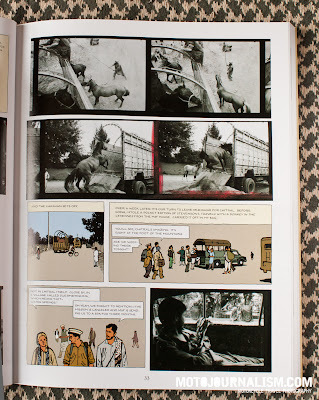 Emmanuel Guibert’s ink-dropper illustrations are the perfect foil to the realism of the photographs.The illustrations will often provide a reverse angle view of the action, or propel the story forward by bridging the scenes during which Lefèvre’s camera was put away. The photographs will often snap you back to reality after a full-page of illustration, reminding you that this really did happen. It’s especially rewarding to recognise specific elements from the illustrations in the photographs, a distinctly shaped rock, some clothing, a man’s rifle. Few images of Lefèvre exist - as he was the photographer - so Guibert has filled the gaps with realistic renditions of Lefèvre and his habits. 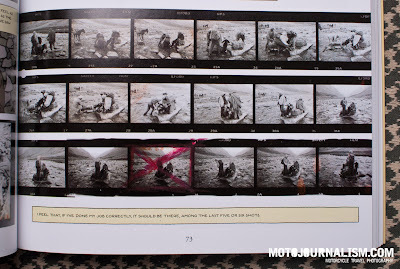 The official website shows a video of Lefèvre changing the film and lenses of his battered Nikon and Leica cameras. 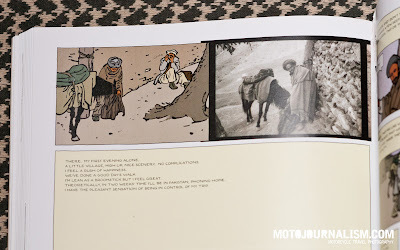 This was used by Guibert as a reference for his many illlustrations of Lefèvre in action. 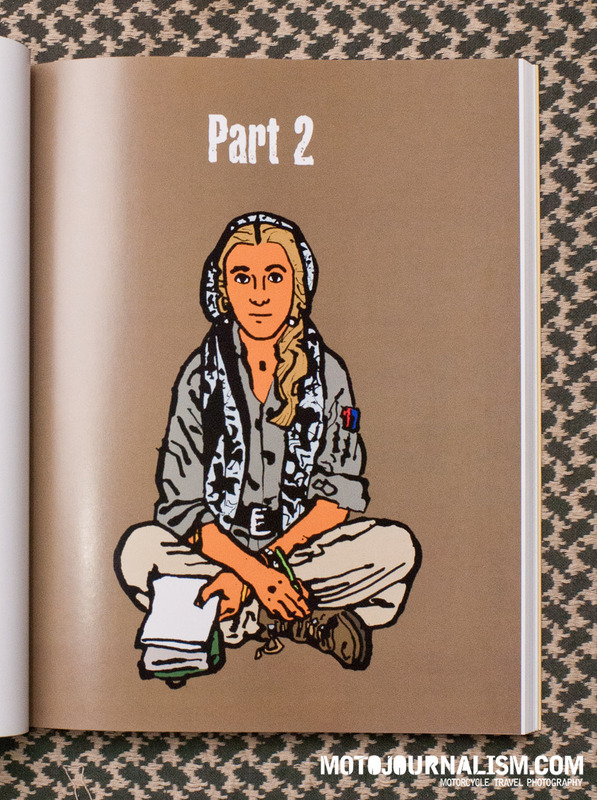 The subtle natural colouring and page layout of Frédéric Lemercier is the glue that seamlessly binds together the contrasting styles of illustration and photography. The steel blue of the sky darkens from panel to panel as night falls or day breaks. An illicit border crossing under the cover of darkness is exactly as you would see it; stumbling through the boulders you can barely make out the forms of the other people against the inky sky. The Photographer is a joy to read. By turns; exciting, exasperating, emotional, funny. 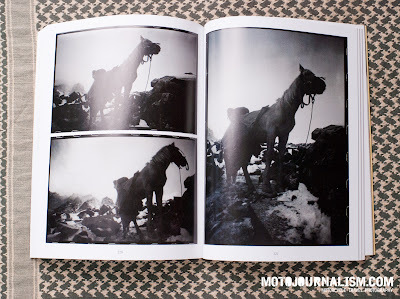 Unlike the mystery of Steve McCurry’s famous image Afghan Girl, The Photographer provides a context for each photograph that cannot be captured in newspapers or magazines. In Seeing each of Lefèvre’s photos for the first time we know the characters, we appreciate the location, we understand the situation.